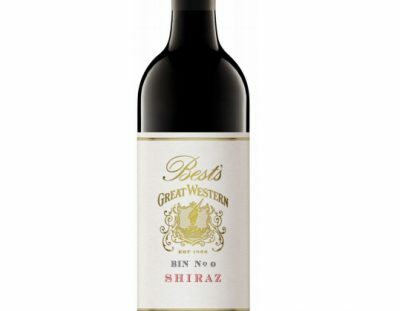 One of the most attractive things about the classical Best’s Great Western red wine style is the texture. That glossy, plum essence roundness seems to come without the cost of heat or excess. It’s just a full, enveloping and charming style. This ’15 is a classical Best’s Great Western red too. You’d almost call that fruit molten, such is the perfect flow in this iteration. Like a wave of spiced purple berry compote washing over your palate. The oak folds into that fruit too, adding a vague vanilla bean highlight, but largely just contributing more textural layers. Critically, whilst it’s ripe (and a warm year wine), it feels sunny, not cooked – ie plums, not prunes – and it’s a quintessentially mid-weight wine. The tannins, too, are almost elegant, the acid correct, the finish just a little warm but not hot. Ultimately this is classic wine. You’d want to wait an extra year, as it still doesn’t feel like it’s giving up all it’s goodies yet (hence the plus sign). Beyond next year? I have no doubt this will be a 30 year wine. Best drinking: 2019-2039. 14%, $85. 18.5/20, 94/100+. Would I buy it? I really would. Lovely. Andrew how does this vintage compare to 2014?